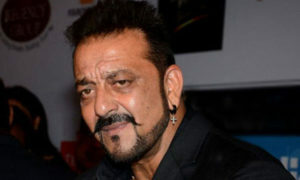 Our favourite actor Sanju Baba is all set to make a grand comeback in the revenge drama Bhoomi. Having had his fair share of ups and downs, the actor has faced all his hurdles with fervour and conviction only to emerge as a winner! In a recent interview, Sanjay bared it all revealing details about his jail time and his upcoming film Bhoomi. Here’s wishing the actor all the success for Bhoomi! 16 queries in 0.332 seconds.